“A lot can happen between lost and found.” Watch the first trailer of the new family adventure A Dog’s Way Home now which has just been launched by Columbia Pictures. Directed by Charles Martin Smith, the screenplay is by W. Bruce Cameron & Cathryn Michon, based on the book by W. Bruce Cameron. The film stars Bryce Dallas Howard, Ashley Judd, Jonah Hauer-King, Alexandra Shipp, with Wes Studi and Edward James Olmos. 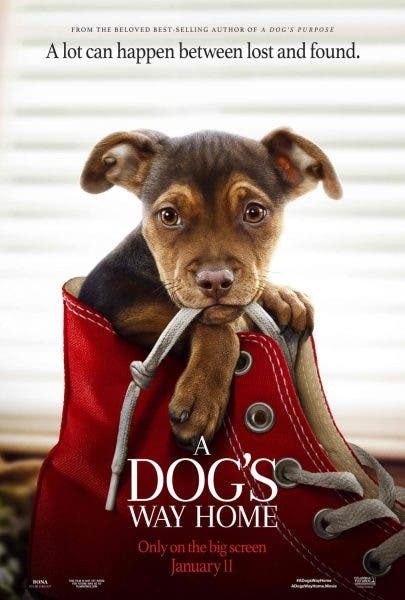 In Philippine cinemas 2019, A Dog’s Way Home is distributed by Columbia Pictures, local office of Sony Pictures Releasing International.